How to sell your bitcoin? Coinexpress.co.za not only prides itself in offering very attractive prices for our customers, but we also have one of the easiest to use interfaces. Your first step will be, much like buying bitcoin, to choose the option to buy and sell bitcoin from the top menu bar. Another option is to click on the sell button on our service which will show you the latest prices in real time. Fig. By clicking on the “sell” button on the right hand side (marked with an arrow) you will be taken to our sell page. On our sell page you will see a form as shown below. It is important that you choose the “I want to sell bitcoin” option because if you enter the page from the top menu you will be taken to the buy bitcoin page by default. The form will auto complete itself in real time. Once you chose your desired BTC amount it will be converted into ZAR automatically. The same applies if you enter a ZAR amount first. For instance if you wish to have a particular ZAR amount transferred into your account, enter that amount into the receive field, and the form will show you how much BTC is needed to be sold. Please note. The shown converted amounts do NOT include our comission. The bitcoin price is also shown at the time you are filling out the form. However as we buy and sell coins in real time at major exchanges, the final amount that will be transferred into your account might (or it might not) slighly differ from the amount shown at the time of completing the form. automatically – your deposited bitcoins will immediately be exchanged to South African Rands based on the exchange rate in real time, without any further authorizations from you. always authorize by email – once your bitcoins are reflected on our side we will send you an email with the current ZAR exchange rate. You may accept or deny the exchange request. This option grants you greater control over the exchange rate but you also need to be by your computer or smartphone so that you can check your email. Otherwise your bitcoins will not be exchanged! only confirm by email if the price difference is>3% – This option also grants you control in case of large coin price fluctuations. You will receive an email if the price differs more than 3% from the price shown at the time you completed the form. 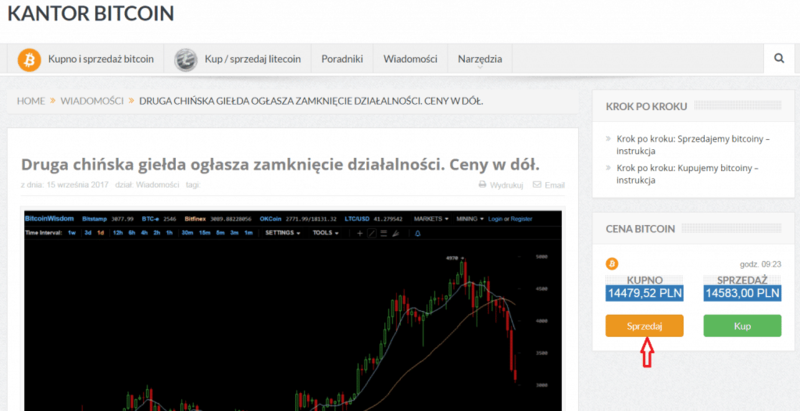 If the price difference is less, then your bitcoins will be converted automatically. In the banking details field, you need to select your bank and then enter your account number where you wish your ZAR proceeds from your bitcoin field to be deposited. NOTE: We only transfer into local South African banks and into an account held in your name! You also have the option of entering the beneficiary reference (otherwise we will enter our generic transaction reference). Below you will need to enter your contact details such as your email address which is mandatory and a telephone number. A telephone number is not mandatory however we recommend in doing so because in case you made any mistakes with your banking details that is the quickest way to contact you in order to rectify the situation. Your final step will be to accept our terms and conditions and to click on the sell bitcoin button. A few seconds later a uniquely generated individual bitcoin address will appear below. 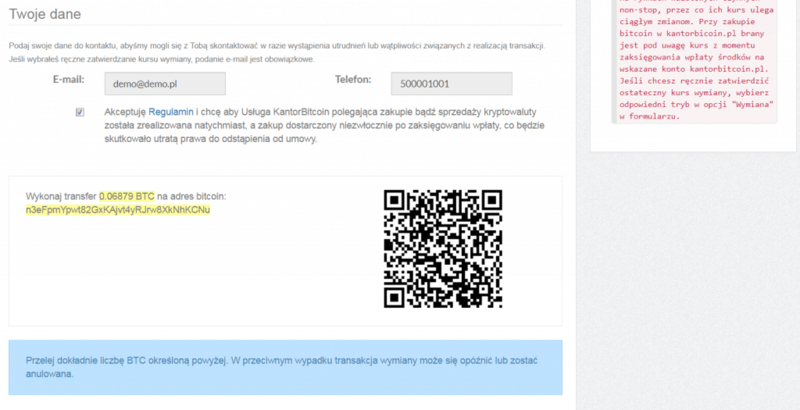 You will need to deposit the exact same bitcoin amount as agreed to and as shown on the exchange form. For your convenience the system also generates a QR code with the exact same payment address which you can scan with your wallet quickly. Additionally we will send you an email with our payment address where you need to send your bitcoins to. Once the bitcoins appear on our side after 3 network confirmations, and depending if you chose the automatic exchange options, your bitcoins will be exchanged into ZAR or we will email you with an exchange request. After your bitcoin is converted we will then transfer ZAR into your chosen bank account. All bank transfers normally are reflected on the next working day but sometimes may take up to 48 hours. We will duly notify you in regards to the exchange and bank transfer by email to the address that you have provided us. You may also check the status of your transaction at any time by clicking on orders within the tool menu.